Proper nutrition is essential to individuals with HIV/AIDS. Yet, it is often difficult to maintain an adequate diet due to a variety of conditions associated with the disease and/or medications used to alleviate symptoms. 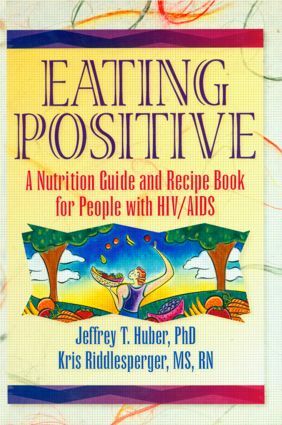 Eating Positive: A Nutrition Guide and Recipe Book for People with HIV/AIDS solves this problem with easy-to-follow, enticing recipes that fit a variety of common diet restrictions and specific health needs of individuals with HIV/AIDS. You can use this practical nutrition guide and recipe book to customize diet plans for your patients or for yourself (with a doctor’s approval) that provide proper nutrition and satisfy the tastebuds. These diets are not prescriptions but rather guides for creating and consuming a practical diet to suit individual needs. You’ll find that Eating Positive puts individuals with HIV/AIDS on the road to a more pleasing, fulfilling, and healthy diet.